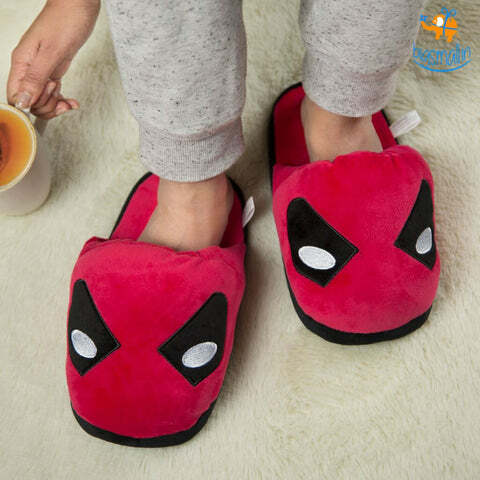 Whether you're looking to unwind after a long, hard day or you'd like some 'me time' in the morning while preparing for the rest of your daytime, lounging in these plush slippers will help you relax through and through! 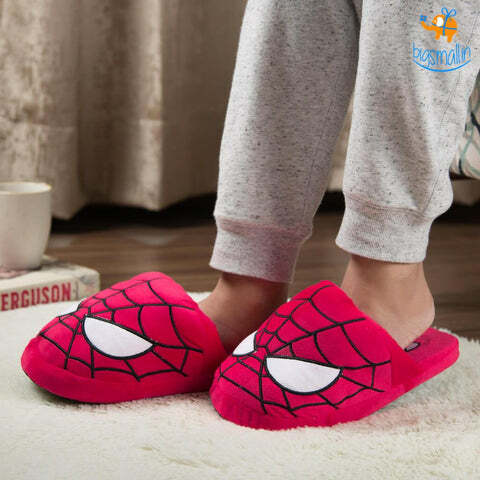 Check out our super soft and comfy plush slippers in an array of designs, all for you. Once you've stepped out of the bathroom after taking a nice, hot shower, wouldn’t you just love to put on a fluffy robe and a pair of warm Plush soft sole slippers? These soft, fluffy things are the real deal when it comes to relaxation and comfort, aren't they? You could be unwinding and lounging around after a long, rough day. Or maybe you are preparing early in the morning for the rest of what your day has in hold for you. 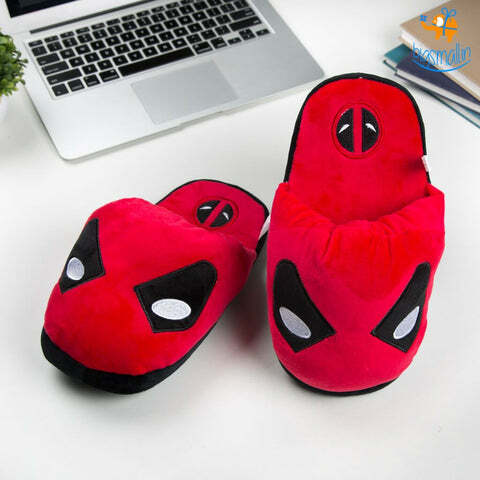 Well, cosy plush slippers are just what you need to have to add more to your comfort! If you're on the lookout to buy plush slippers in India, we have just the softest, comfiest ones in store for you! We've got it all- adorable minion themed slippers, scary slippers, super soft baby shoes, funny slippers, Plush slippers for women...and so on! After all, plush slippers really do give you a warm, fuzzy feeling once you wear them...quite literally. Pamper your feet with our snug, plush slippers. Giving boring, conventional gifts to people you love doesn’t really do much to show how much you appreciate them and value their presence in your life. But giving someone creative gifts goes a long way! They make the receiver smile instantly on unwrapping the gift and are the best way to make someone feel loved and pampered! This way, the present is cherished and held on to for ages! 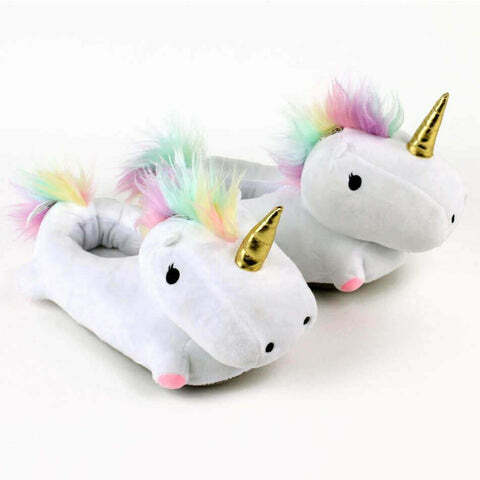 At bigsmall.in, we've got a whole bunch of really cool and snug plush slippers stocked up for you. They're the most adorable and comfy footwear to help your feet stay warm and cozy. We have all kinds of these too. If you're a fan of minions or know someone who loves these tiny, cute beings, these minion plush slippers are a must have! They're cushion-like soft and will give your feet much relief the instant you put them on. These elephant plush slippers too are incredibly cute and just what your feet require to stay put while you're unwinding. These plush slippers make for really one of a kind funky gifts, don't they? 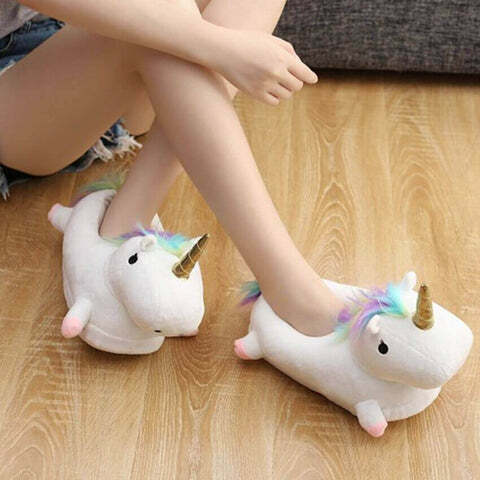 Cartoon slippers for adults are underrated! 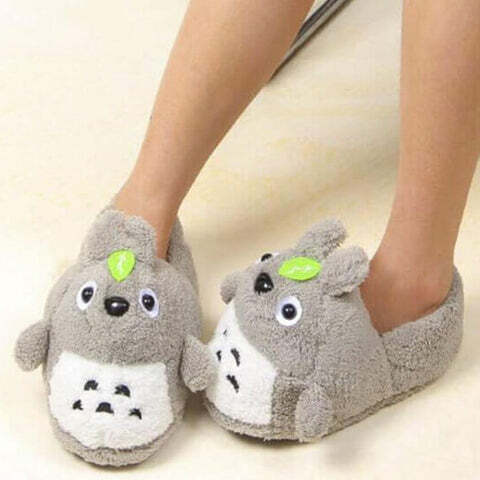 Why shouldn’t adults have the opportunity of pampering their feet and staying warm in cool, cartoon designs too? 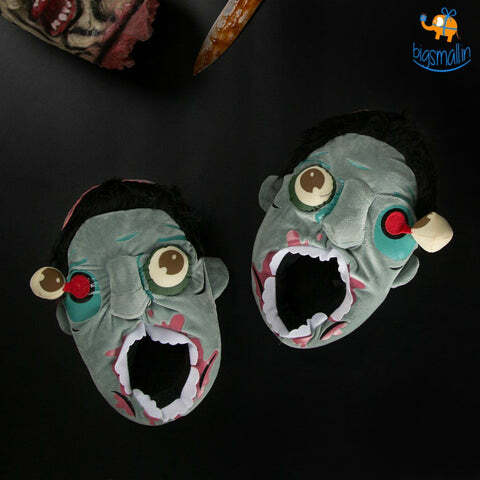 If you love gothic things and all items that are eerie and creepy, these zombie plush slippers are chilling yet funny footwear for you. 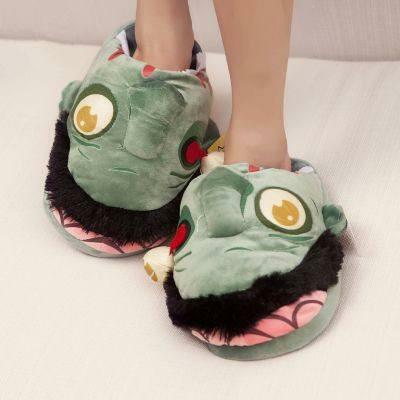 With one eye popping out, these ghoul slippers are just the right amount of creepy and cool. Maybe you'll even be motivated to prepare for the zombie apocalypse this way. 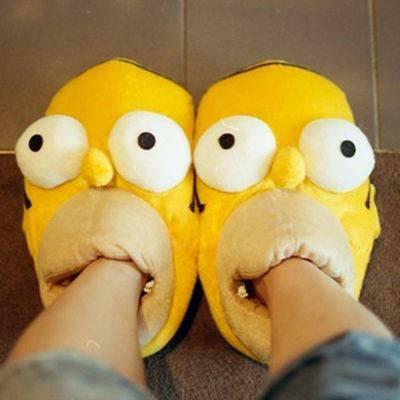 If you're on the quest to find men's cartoon slippers, these Homer Simpson slippers are pretty amazing. 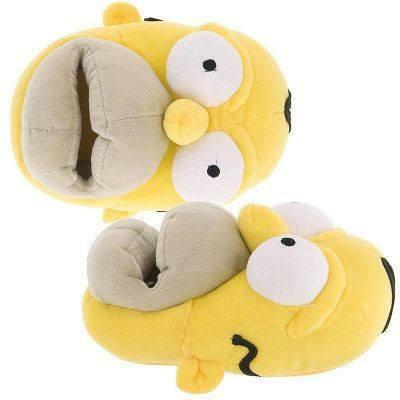 You don’t even necessarily have to be a fan of The Simpsons to be able to rock these things in style! Their bright color and super rich, soft feel make them just the luxury you need to put your feet in. Remember all those afternoons of playing Mario on repeat? 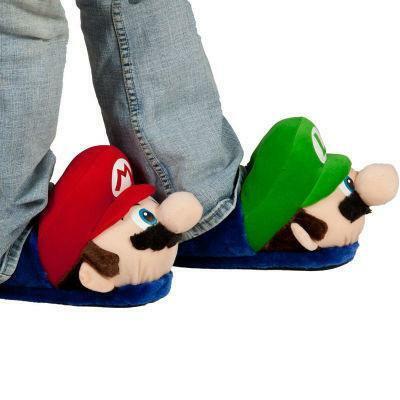 Well, if you're a die-hard Mario fan or friends with someone who is, you need these Mario Plush Slippers. Their attractive color and funky design will keep you gazing at your new footwear endlessly in fascination. Maybe even like the real character, you'll be able to battle your way through all the obstacles you face in life. 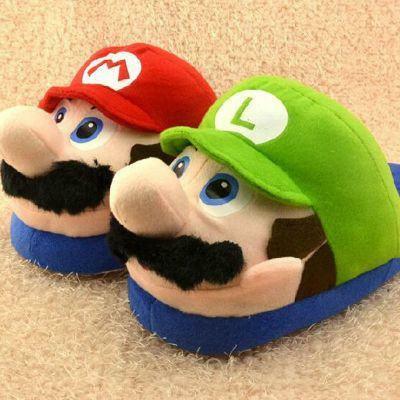 You could also get these plush Mario winter shoes! Not only are they extremely charming to look at, in their pink and blue hues, they will keep your feet from freezing this winter. 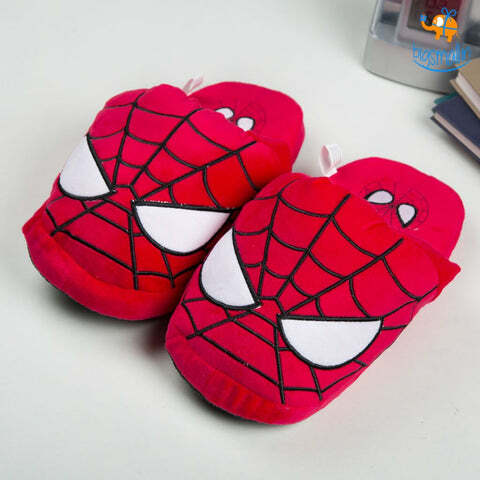 If you're looking for soft footwear that can keep your baby's tiny, delicate feet warm and safe, get these baby plush paw shoes for your infant! They're a little too cute, a little too soft and will also give your little cherub some edge while making a fashion statement! They come in warm, pastel colors - just the hues that will match his/ her lovely baby clothes too. These also make for a great baby shower gift. Check out these baby crib knitted shoes- another great present for any tiny tot. Talking about feet, these moisturizing spa socks are essential in any feet pampering experience! With their essentials oils which not only smell great but also have healing properties, you get the whole package! Nourish your feet and leave them feeling soft and supple with these spa socks. You could get the same kind of pampering gift for your hands too. These spa gloves work in the same exact way and are just what your hands deserve after all the work you do! If you're on the lookout for rakhi gifts for sister, bigsmall.in is the ideal place to come to. We've got a ton of gifting ideas for you. No matter how old your sister is or what type of personality she has, we're sure you’d love to get her some of the coolest products from our online store. Whether you particularly want travel essentials, funny gifts, real problem solvers, unique gifts or premium gifts, we've got it all. Among our best rakhi gifts, we've got this really innovative mermaid blanket which is just the gift your sister needs to feel like a princess all over again. You could also get her one of the creative 3D Mugs which are unbelievably realistic and creative! For instance, this Biscuit Pocket Mug solves the issue of having to use a saucer or a bowl to hold your biscuits or cookies. This mug has an inbuilt pocket to do it for you! This unique bucket list notebook set is a lovely present as well. It comes in a pretty box with a notebook, a multi-coloured pen, two beautiful washi tapes and a pretty, bright ruler! It will definitely ignite anyone's wanderlust and need for adventure and it sure is a great way to jot down one's dreams and desires too. If you live abroad and would like to send gifts to india, it is extremely easy to do through our online store. First, pick a creative product from the plethora of cool, funky gifts we offer. Next, fill in the address you'd like it to be sent to and that is all! The rest is all left to us. You wouldn't have to deal with the trouble of customs and delivery processes- we'll handle it all for you! You're sure to find the some of the best gifts you could ever give at bigsmall.in. Anniversary gifts, festival gifts, funny gifts, housewarming gifts...get it all here!